What’s The Worst Convertible Ever Made? The burning sear of a vinyl seat left in the sun and the cold blast of AC are upon us. Summer is coming, and you'll want a convertible to enjoy it. Which one should be avoided at all costs? 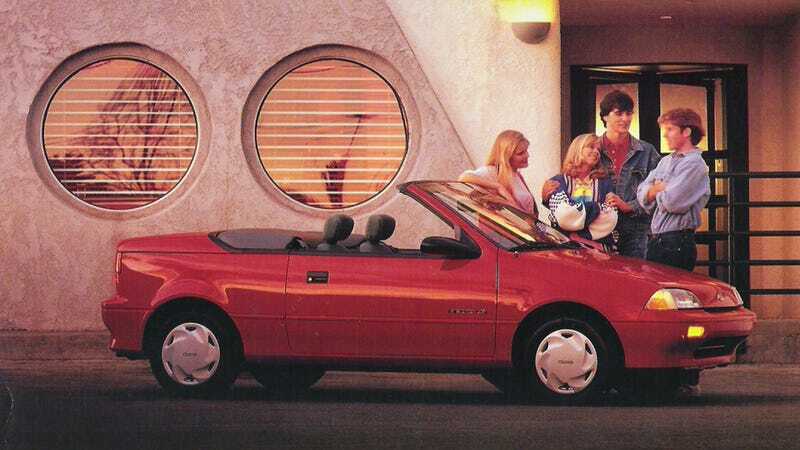 When it comes to terrible cabrios, it's hard to beat the lovable-but-totally-crap Geo Metro Convertibe. One of my neighbors had one in yellow and it was embarrassing to even live close to it. What do you think was the worst convertible ever made?